Designers are the silent hands behind everything we use in our days, conveying concepts, ideas, and emotion through their work. They’re responsible for how things look and function. The profession is broken into specialized segments, because creating a material product is very different from designing a website or video game. Find design programs near you! Graphic designers communicate through a visual medium. They develop designs for digital and printed material, including packaging, emails, ads, and much more. To complete your projects, you’ll use design elements of colors, images, text styles, and layouts. Make the desired impression on the target market by creating visual concepts that inspire, inform, or entertain the audience. Graphic designers help to solidify the visual brand of companies they work for, not only creating the graphics but also helping to determine the message behind the design. Meeting with clients, discussing business needs, and providing a suitable concept are just the basics of what your job will entail. You can choose to be self-employed or work for a corporation/design agency. During a project, you’ll collaborate with copywriters, photographers, web developers, account executives, and marketing specialist to perfect the brief and meet your client’s deadline. Beyond the proper education, successful graphic designers must have strong communication skills, a creative outlook, and technical knowledge. You must be organized to work on multiple designs and produce successful and effective products. This work demands a professional approach to time, cost, and deadlines. If you’re still in high school, bulk up on art, drawing, art history, website design, and graphic arts classes. Find a graphic design program accredited by the National Association of Schools of Art and Design. There are about 360 institutions to choose from. Get either an associate degree, which takes two years if you go full time, or a bachelor’s degree, which takes about four years with full-time attendance. Complete an internship. These are usually required in graphic design programs. Create a portfolio highlighting all your best pieces. Stay current with the trends in graphic design. These change all the time. Consider getting your master’s of fine arts (MFA) or master’s of arts (MA). There are really no specific certifications available for graphic design other than those related to the software used. These can be had through the software companies directly. While they are completely voluntary, they let potential employers know that you’re proficient with the necessary software you use. Graphic designers earn a median salary of $48K. Those who are more advanced in the industry made $83K per year, while entry-level designers brought home $28K. The profession is expected to grow at an average rate, with around 12,500 job openings through 2026. 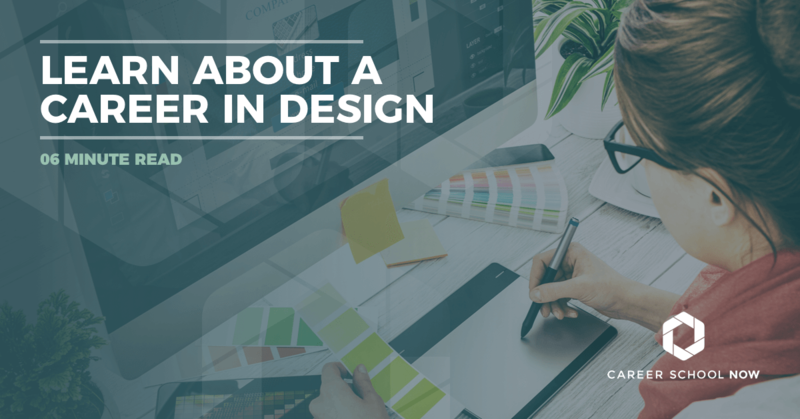 Graphic designers are an important part of a company’s branding and marketing strategy and will be relevant no matter what the economy is doing. However, in the publishing industry for newspapers, periodicals, books, and directory publishers, employment is going to decline 22 percent where, conversely, computer design systems and related services will see a growth of 20 percent. This is due to the fact that companies are upping their digital presence game. Interior designers are professionally trained and licensed to create beautiful, functional, and safe spaces. With a creative eye and analytical mind, interior designers use their artistic superpowers to draw up master plans to suit their clients’ needs. Some interior designers choose to specialize. You can focus on residential areas, healthcare facilities, and hotels. Or you may decide to target a particular room type, like bathroom, kitchen, or bedroom. You’ll work closely alongside architects, builders, and engineers to determine how the plan will look, function, and be furnished. Interior design focuses on both the conceptual and technical components of a space, as well as the visual elements. To become an interior designer, a few steps must be taken. Get an associate or bachelor’s degree from an accredited university. Bachelor’s degrees are the most popular route, as more employers are looking to hire interior designers with a bachelor’s degree or higher. Become a registered interior designer by passing the National Council for Interior Design Qualification exam. Californian residents take the California Council for Interior Design Certification exam. Gain work experience and build that portfolio. Most states require interior designers to be licensed, but requirements vary by state. Most interior designers work in offices, whether it’s through a design firm, a furniture store, or a residential construction company. In 2016, one in every five interior designers were self-employed. There is a certain degree of travel in the job, due to going from clients’ sites to the office. Some major travel could be involved, depending on the customer. With the advancement of technology, interior designers do not hand draw the plans as often as they used to. Interior designers need to be proficient in the programs like computer-aided design and building information software to give their clients 2D and 3D visual of the plans. The median annual pay for interior designers in 2017 was more than $57K. The lower 10 percent of interior designers earned $27K. The top 10 percent earned more than $93K. It’s not unheard of to make in the high six-figures, depending on things like clientele and location. Through 2026, interior design professions are going to experience an average growth of five percent. However, employment in the construction portion of the industry is expected to grow. Remodels, renos, and other long-term projects will ensure the demand for interior designers. The highest growth segment for interior designers will be in the specialized design firms, like ones that focus on hospitality or healthcare. Higher-income areas will have better employment opportunities for interior designers. By staying on top of the technology trends with interior design-related software or specializing in kitchens, bathrooms, or other rooms, it shouldn’t be too hard to find employment. If you’ve spent any time searching the Internet, you know each website is unique in looks and feel. The person in charge of creating these aspects is the web designer. A web designer is a technology professional who makes and designs websites for a client. Whether that client is a large corporation or a local lawn care service, website designers must collaborate with the customer and incorporate the wants and needs into an eye-catching and memorable website. As a web designer, you will be involved in both the technical and graphical aspect of the website, from collaborating with a client on design ideas to establishing the color scheme and functionality. You’ll also brainstorm ideas with your client and may write and edit the content. Not only is it your job to create the look of the website, but also, it may fall on you to adjust and maintain the site as it grows. Earn an associate degree in web design. Create a portfolio highlighting all your best work. Self promote yourself through social media. Continually learn, because web design is constantly changing and evolving. Consider going back to school to become a web developer, which will help with career advancement. This takes a bachelor’s degree in computer science. The median salary of a web designer is more than $66K per year. The salary range is from $35K-$119K, usually with those who offer a more complete set of services bringing home the higher numbers. The field is projected to grow 13 percent through 2026. This is because more and more companies are expanding their online efforts, including the look and functionalities of their websites. Partaking in combat, rescuing the princess, building your own village, and launching birds into the sky—these imaginative worlds are created by game designers. Video game designers devise new video games and define how the games are played. Becoming a game designer sounds like a dream come true for those with a passion and love for interactive creativity. You are the heart and soul of the video game world. The overall gaming experience is dependent on your wild imagination. Typically working under the direction of a lead designer, you will work in a collaborative environment while suggesting innovative new games and the details surrounding them. You determine the landscape, characters, props, and more. After the video game concept is created and a design is put in place, you will put all of the plans into a concept document and present it to specific team members. From there, it will be a collaborative decision whether or not to move forward with the project. Should the concept be approved, you will then work with artists and programmers to develop a prototype. This lets the game to be seen on a smaller scale, allowing you to add details and evolve it over time. The daily tasks of a game designer may change on a regular basis. Because video game processes usually take time and can vary based on the game’s difficulty, you may be responsible for multiple accounts and the due dates surrounding these. Having multiple deadlines for a variety of programs requires you to collaborate with other experts, such as artists, producers, audio engineers, programmers, and animators. By working with many team members, your video game will come alive. The majority of job opportunities require a minimum of an associate degree, as well as previous experience. When it comes to getting hired, your main selling point will be your portfolio, which should consist of multiple ranges of your talent, from character sketches and brainstorming ideas, to game proposals and completed game projects. Some companies may prefer to hire game designers with a bachelor’s degree, while others may just take them weighed on their portfolio. Your portfolio is the single most important selling tool when it comes to your skills. You can also find an internship and gain experience and add to your portfolio. Or, you can just start your own company and not worry about the degree or your portfolio. The median annual salary of a video game designer is $70K, with the top 10 percent earning $123K or more per year. You’ll probably see insane hours, especially when you move closer to your deadline. Because there is such a huge demand for new video games, the job outlook is 10 percent, which is faster than most other occupations. Expect a high amount of competition for the 7,700 jobs that are projected to become available through 2026. There are many advantages to earning a degree online. Online programs are not only more convenient but also typically more affordable than programs on campus. For individuals currently employed in teaching positions, an online master’s degree can be a great opportunity for advancing to a career in instructional design. Many schools offer instructional design programs in fully online formats. Coursework is identical to a campus-based program and covers teaching theories, curriculum development, classroom management, and instruction improvement. Near the end of an online master’s degree program in curriculum design, students may be required to complete a research project, thesis, or practicum.